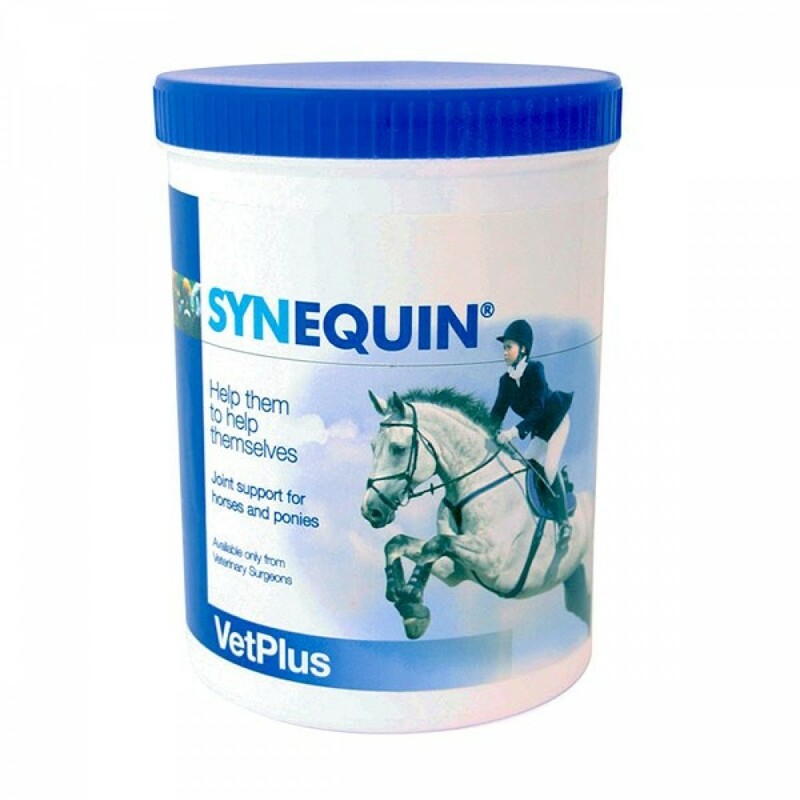 Synequin is a supplement designed to help to improve stiffness & pain in the joints; support joint function & provide your horse with the necessary nutrients for healthy cartilage. It contains Chrondroitin, Glucosamine, Glucosaminoglycans (GAGs), Zinc & Vitamin C.
Synequin can be beneficial for horses suffering from osteoarthritis or Degenerative joint disease (DJD). Synequin comes as a powder, either in a 1kg tub or as 100 sachets of 10g each. For the first 35 days, feed a loading rate, which is higher; then for days 36-60, feed a transition rate, then after 60 days, feed a lower maintenance rate.